MS Word features one of the most user-friendly interface and easy to understand tools. Such basic tools, if implemented properly, can enhance the productivity by saving huge amount of time. Here, we will try to understand how Timeline template is created in MS Word. Go to Insert tab, click Smart Art in the group Illustrations. A pop-up window opens ‘Choose a SmartArt Graphic’, click Process, and choose a sample timeline layout of your choice. Double-click to insert it in Word. Note: If the Text pane is not visible, click the control to expand the text pane. Note: For best results, you can use this option after you add all of the entries that you want. Click on the SmartArt graphic that you want to add another entry to. 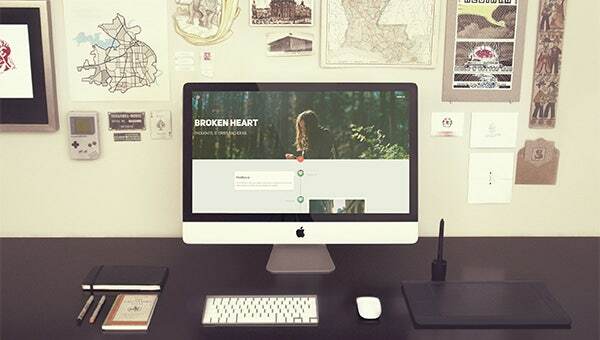 With the help of SmartArt Tools you can easily insert another graphic in the timeline design. The process is very simple. Hover the mouse under SmartArt Tools, go on the DesignTab, under there click on Create Graphic group, you will see an arrow next to Add Shape, click on the arrow and link the shape with one and another. Add insert an entry before the selected entry, by clicking Add Shape Before. From SmartArt Graphics: Select the SmartArt graphic for the entry that you want to delete, and then press DELETE. From Text Pane: In the Text pane, select the all of the text for the entry that you want to delete, and then press DELETE. To move the entry up: select the desired SmartArt and then click Move Up in the Create Graphic groupon the Designtabunder SmartArt Tools. To move the entry down: select the desired SmartArt and then click Move Down in the Create Graphic groupon the Designtabunder SmartArt Tools. SmartArt Tools also have other options, including Layouts and SmartArt Styles. Option 01: Simply select the desired timeline layout from the Layout Group in Design tab, that suits the best and click on it. Option 02: Right click on the timeline created and click Change Layout and then click Process. You can further enhance your timeline and give it a more professional and presentable look by adding colors and Style to it. You can also modify the format of timeline from different perspectives according to the context of timeline. You can use preset theme colors incorporated in the MS Word. These can be found in the Design tab under SmartArt Tools. Click the SmartArt graphic for which the color is to be modified. Click Change Colors to see many options of preset theme colors to be selected from. Select and click the color combination that you want. Tip: When you place your pointer over a thumbnail, a live preview is available to check how the colors affect your SmartArt graphic. 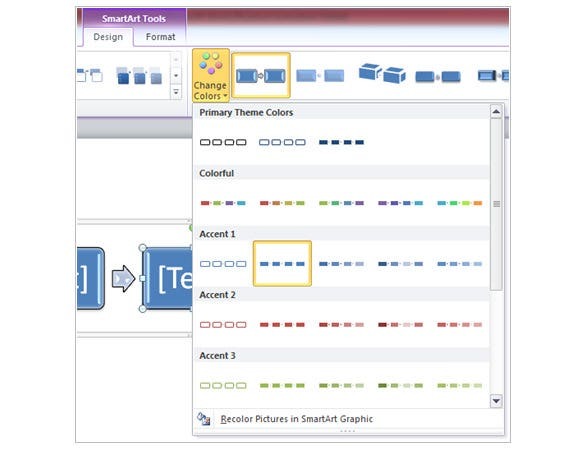 Select the desired SmartArt graphic and click Format Shape tab in the SmartArt Tools. You can change the color of the border from Shape Outline in Shape Styles group.Select the desired click Color, and then click the color that you want. You can also modify the line style from here. Click the border of an entry, and then click Format tab in the SmartArt Tools. Click on the small arrow beside Shape Fill to reveal all the options available. You can fill a uniform or solid color to the SmartArt graphic or even choose from Gradient or Texture background color. More color options are also available in More Fill Colors… to pick your own color, from Standard or Custom, which is not available in the theme colors. You can also right-click the SmartArt graphics and click on Format Shape to see even more detailed options. A SmartArt Style carries many options to make your Keynote timeline stand out and express for itself. It has many effects, such as line style, bevel, or 3-D perspective that can be applied to the entries in your SmartArt graphic to create a professionally-designed,unique look.However, you need to check if the desired style compliments your work and timeline needs. Under SmartArt Tools, on the Designtab, in the SmartArt Styles group, click the SmartArt Style that you want. Note: A live preview is also activated when the cursor is place on a desired option. There are also many other options to enhance the presentation and professional look of your timeline. Modify the shape and size of each of SmartArt graphics independently from Shapes group in Format tab. From WordArt Styles in Format tab, add effect to the text of timeline. Make specialized arrangement of the Timeline on your page from Arrange group.